The Huntington Arts Council offers volunteer opportunities and student internships year-round. Hours are flexible and applications are accepted on an on-going basis. Read on for more information. The Huntington Arts Council is looking for volunteers in the following areas. Each opportunity offers flexible scheduling and applications are accepted on an on-going basis. Thank you to all our 2017 SummerScape and Gallery Volunteers! Assist with mailings, phones, etc. Apply HERE to volunteer for one or all three! *Positions are currently filled for Spring and Summer 2019. Please check back again for opportunities in the fall! The Huntington Arts Council offers work experience for college and high school students in their junior and senior years. 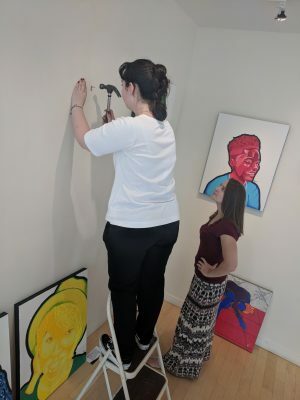 Interns gain professional skills and experience while assisting with day-to-day operations of a nonprofit arts council. Projects may be assigned in all departments. However, interns will be matched with a coordinator best suited for their needs and abilities. Internships are non paid. Apply to our internships here! If you would like to volunteer your time and expertise as a Grants for the Arts panelist, click here.